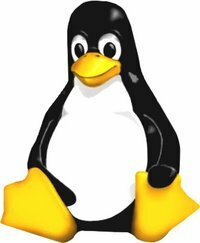 A discussion of the concepts and examples of Open Source and Free Software, Linux and the Wiki concept. Barlow's and Lessig's view on the architecture of freedom in cyberspace, and a discussion of spam. GNU was originally an effort to build an open source operating system on the model (but not necessarily the code) of Unix; GNU is called a "recursive abbreviation" and stands for "GNU's Not Unix"
"Cyberspace consists of transactions, relationships, and thought itself, arrayed like a standing wave in the web of our communications. Ours is a world that is both everywhere and nowhere, but it is not where bodies live. "These increasingly hostile and colonial measures place us in the same position as those previous lovers of freedom and self-determination who had to reject the authorities of distant, uninformed powers. We must declare our virtual selves immune to your sovereignty, even as we continue to consent to your rule over our bodies. We will spread ourselves across the Planet so that no one can arrest our thoughts. "the commons that fuels innovation is the commons that exists at the logical layer of the Net. ... It is the neutral platform upon which innovation happens. And this neutrality is neutrality built into the code. What is the difference between spamming and legitimate commercial speech? Of the opt-in lists you subscribe to, how many have information you would like to receive? Can you think of products or protocols that would best be made under proprietary (not open source or free) license?. Have you ever responded to an offer from a spam message? How do you think Wikipedia compare in the quality of its entries to a traditional encyclopedia? Who has rights to the communications system itself? Who "owns" it?